If Vancouver Island is part of this year’s itinerary, Campbell River is a must for arts and culture. Over the years, prolific writers, carvers and painters have chosen to live in the community, leaving behind artistic legacies and a number of intriguing sites. Attached to the visitor centre, the Campbell River Art Gallery is an ideal place to start. This excellent gallery rotates its exhibits every four to six weeks and also offers workshops, classes and artist's talks. Admission is by donation. Another worthwhile stop is Willow Point, suggests Ken Blackburn, executive director for the Campbell River Arts Council. This area is just a few kilometres south along the ocean from Campbell River's centre. It hosts a very popular chainsaw carving competition that takes place over the five days leading up to Campbell River’s spectacular Canada Day celebration. 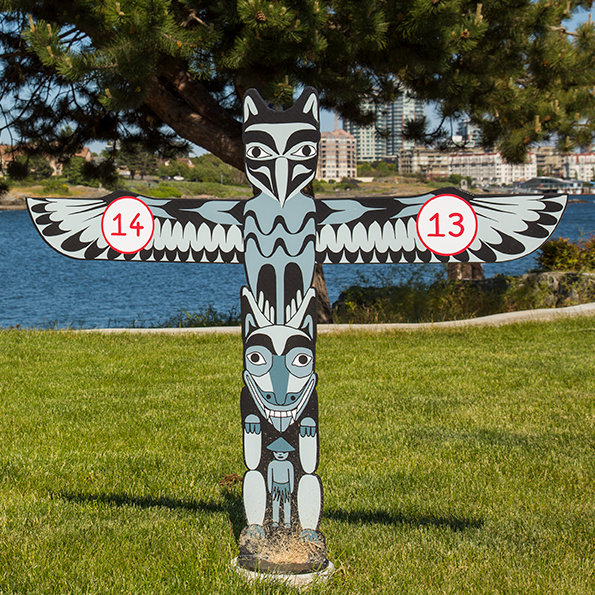 Even outside of the event, a search for the carvings can provide a fun treasure hunt after noting the locations online. A visit to Sybil Andrews' cottage is highly recommended. Born in England in 1898, futurist artist Sybil Andrews and her husband immigrated to Campbell River after the Second World War. She resided at the little blue cottage until she passed away in 1992. During her time in Campbell River, Andrews created beautifully dynamic linocut art and tutored aspiring artists. Andrews' cottage has been designated a heritage site. The Campbell River Arts Council manages the cottage, which features an interpretation panel and reproductions of her work. Visitors can stop by in the afternoon when the site is open and take advantage of the free entry to learn about this renowned artist. Although there is no parking directly at the site, it is adjacent to Frank James Park and can also be accessed from the popular Rotary Seawalk. Any cultural tour of Campbell River would not be complete without viewing some of the exceptional First Nations art in the area. 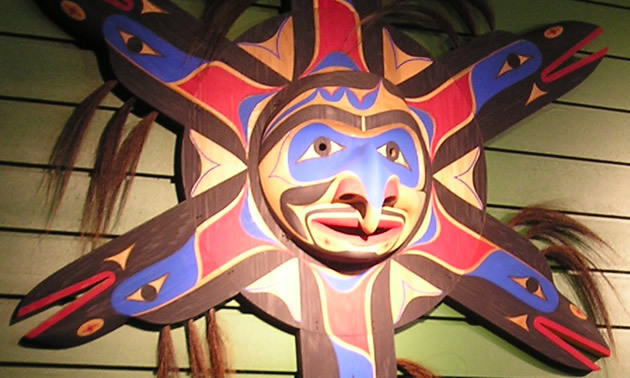 You could take the ferry to Quadra Island to enjoy the Nuyumbalees Cultural Centre. However, a must-see collection that is easy to access is housed in the Campbell River and District Museum. Both permanent and temporary exhibits offer an intensive view into the life and history of the region. For anyone who is interested in purchasing First Nations art, the Wei Wai Kum House of Treasures is an excellent shop and gallery that is located alongside the river. Whether you enjoy walking amongst creativity or learning about how art has played a role in a community's past, Campbell River is a wonderful place to enjoy an artistic journey.